Flexibility has been the over-arching theme of my past couple weeks. 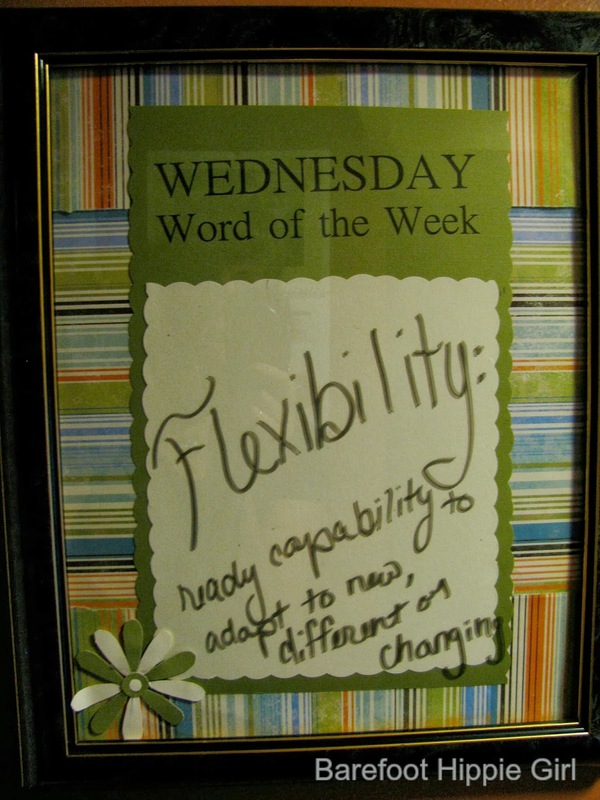 Which is ironic, because no one would ever describe me as flexible. Disciplined...oh yeah. Flexible...not so much. Flexibility as we re-adjust to our school schedule. Flexibility as I embrace time with out of town family even as it messes with my regularly scheduled rhythm. Flexibility as I deal with a child who broke her foot and another child who bonked her forehead. Flexibility as my sitter plans fell through for my day out so I didn't have extra time to write or to plan for upcoming Friday school days. Flexibility as we had a flat tire out of town last week and had to use the spare, and replace the flat. Flexibility to fit in sleep and exercise, dates and people. Flexibility as we hit some bumps in our math plans this year. Ordering the wrong book for LC. Not ordering a book for Freckles. Which is also rather ironic since math is full of principles. Principles by definition are fundamental truths that don't change. 1+1 has always equalled 2. 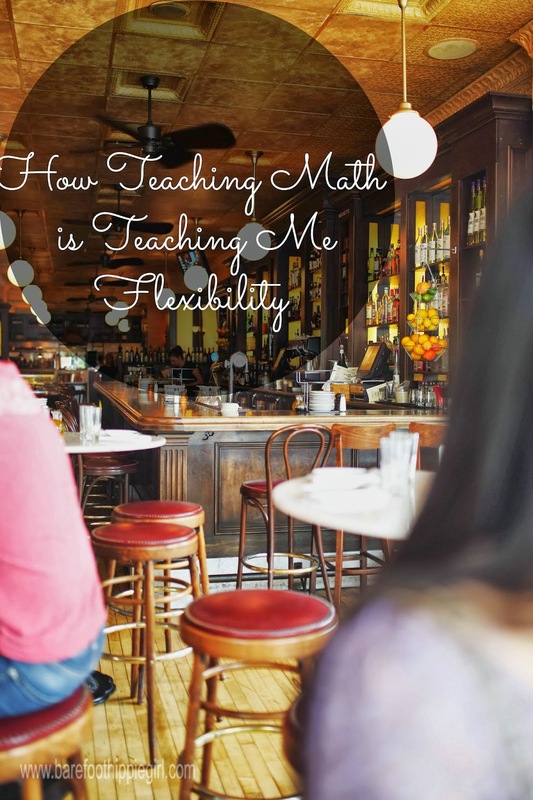 But, while math principles don't change, how I teach math doesn't have to be set in cement. If is not broke, you really don't have to fix it. But if something isn't working, having the grace to change course is a good thing. I have several grade levels of old math text books. 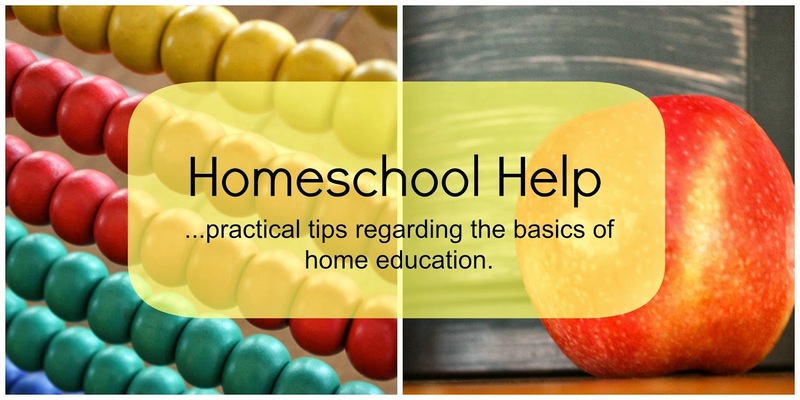 As a matter of fact, they are the ones I used when I was home schooled. As the facts hadn't changed, I figured I would save myself some change by using the 4th grade math textbook for Freckles. See, you don't write in textbooks. You have to copy out the problem and then solve it. Which isn't a big deal for most kids. As a matter of fact, BMV has had no problem using the textbooks. He is on his third year using a textbook. But, Freckles was spending hours copying out the problems. Everyday. He was getting bogged down in the copying, not even in the solving. I had 2 choices...persist in this money saving endeavor and have us both pulling our hair out in frustration, or pony up the dough for a work book he could write in. Time is money. And frustration negates money savings. I was flexible. I ordered his new textbook, it arrived last Monday, and he is already halfway caught up. Sometimes admitting you made a mistake is the better part of valor. See, from potty training to learning to read, Freckles never did it on my schedule, he did it on his. He didn't do things when I thought he was ready, but when he genuinely was ready. I am not talking about a matter of wills here, I am talking about skill and maturity. He just isn't ready. But, I am betting that next year we will probably be able to use the 5th grade math text book, and it's not going to be a problem to copy out the equations. He will be ready for it. God is teaching me flexibility...in big things and little things.